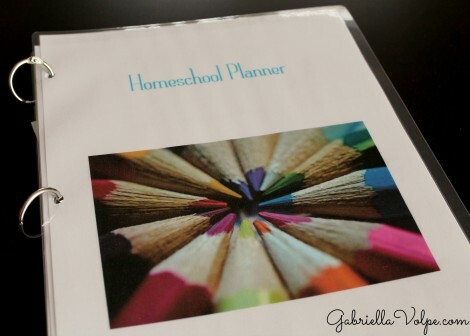 Planning the Homeschool Year for Your Child with Special Needs: Part 9 – Planning Your Day - GABRIELLA VOLPE, B.Ed.GABRIELLA VOLPE, B.Ed. In Part 8, you planned the week by actually planning the activities daily. You’ve finally arrived at the point where you can plan what your individual homeschool days will look like. As a family, you have already established some kind of routine – whether you did it intentionally or not. You probably have a regular wake-up time, a general time when you eat lunch, and a time when you have dinner. In between, you’ve either filled it in with chores, outings, or perhaps, play-based activities. For homeschooling, become aware of what you’ve already been doing and replace the activities/ outings so that they are now more academic-related. Don’t try to restructure your already set-in rhythm unless it was chaotic. Your child with special needs has already internalized the patterns of the day, and by changing things up for homeschooling purposes, you’d only be asking for trouble. Block in your mealtimes and work your “schooling” around those. I started brainstorming our daily rhythm by blocking in the meals. For my son, meals are sacred and cannot be skipped or delayed. He still cannot fully communicate when he wants a snack or that he’s getting hungry for lunch. Since birth, I’ve been in-tune with his desire to eat, and I make sure, in order to avoid meltdowns, that I have the snacks and meals ready at set times in the day. Your child might not be so demanding with feeding schedules. Yet, I highly recommend that you use your mealtimes as anchors to planning your homeschool day. While you may not have a set time when your child eats breakfast, you know that it does happen sometime in the morning. The same for lunch and dinner. They usually happen somewhere between midday and early evening, respectively. Begin by blocking in those meals in your Homeschool Reflections journal. Then, decide, based on the age and developmental level of your child, how many activities you can manage to fit in between those meals. As you can see from my brainstorm above, I have included an activity before breakfast. This doesn’t always happen since wake-up times are unpredictable with my son. However, I have that penciled-in for those days where the wake-up is earlier. On those days, we attempt 4 activities. I have 2 activities blocked somewhere between breakfast and lunch, and one activity between lunch and dinner. While you don’t have to, some families prefer to list the exact times when everything will happen in their day. I tried this and found it too restrictive. Both my son and I function better in the morning hours, so I like to have the bulk of the “schooling” done in the morning while leaving the afternoon activities informal. However, there are some activities that lend themselves better to certain times of day. Below, I share with you some suggestions for activities within each block of time. Please note that you should not do all of these activities in a block – or even in one day. These are simply ideas you can select from. For a child with special needs, I suggest varying the activities from fine motor to gross motor; from sitting/ floor play to standing; from a quiet activity to a more active one. The Waldorf approach refers to this as in-breath and out-breath. Every time you plan an energetic activity, it should be followed by a calming one in order to bring inner-balance to your child. I try to keep this time of day mellow. We’re only just getting started and we’re welcoming the day in a gentle way. We often do the storytelling in bed, and the songs/ music happen while I’m preparing breakfast. There is usually a snack in this period, which includes self-feeding practice. As I prepare lunch, I need to have my son in a safe place, and that’s when I resort to the television/ videos. I play an educational video for about ½ hour as I get the lunch ready. He enjoys this as it’s a little down-time for him as well. Using this general guideline for our daily rhythm makes it easier for me to plan what we’ll do each day. But, I take this one step further. Since our days are Waldorf-inspired, I have designated a day each week where we work on one particular element: painting, modelling, crafting/ handwork, or baking. Setting specific activities to explore on specific days of the week helps a child internalize time without having to rely on a calendar. This is significant for children who are not developmentally ready to understand how a calendar works. Above, you’ll see that on this particular week, I didn’t do any modeling with my son because Monday was a holiday. In the image above, you can see that I’ve written each activity on a sticky-note paper, with the addition of “outing” on a fifth one. The Waldorf approach suggests selecting the same day each week for these activities. For instance, baking always on Monday, painting always on Tuesday, etc. This is done to help build an internal rhythm of the days of the week for children who are not developmentally ready to understand a calendar. While this is what I aim to do for the most part with my son who is not developmentally ready to understand how a calendar works, I know that it’s not going to be realistic for us. We sometimes have appointments and visitors. This is why I wrote the activities down on a sticky-note paper – it can now easily be moved around on a weekly basis. What I do is aim to have the activities set for specific days each week, but when it’s not possible, I may switch two (or more) around. What’s important for me is that my son get exposure to each of these activities on a weekly basis. It also makes planning easier. When I know that we’re to paint today, I can look at my brainstorm for monthly activities and select a painting activity that I want to attempt, and my planning is done in seconds. Parts 6 to 9 include all of the details you need for planning the year, the months, the week and each day. I’d like to show you how I put all of this into one neat place so that you don’t find yourself with note sheets and calendars all over your house. I’ve never found a planner that works for me 100%. But, I don’t believe in reinventing the wheel either. So, I’ve taken bits and pieces all over the place and assembled it to make my own planner – designed specifically for our needs. I’ve included all of the links to these free printables in the resources so that you can put one like this together yourself. However, I recommend personalizing your planner in a way that best suits your family’s needs. Do a little research. 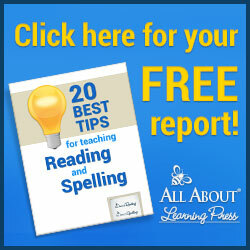 There are plenty of free online printables available. You can create your own planner cover by selecting a photo of choice and giving it a title. Then, laminate, hole punch and bind it along with the rest of your planner using a book ring. The first sheet in my planner is a blank calendar – for general brainstorming as it comes up throughout the year. Remember this guy from part 6? Hole punch it and add it to the planner. Here’s the monthly planner sheet from part 7. It goes into the planner, too. I have printed this weekly planner sheet (discussed in part 8) four times for each month. After each weekly planner sheet, I’ve inserted a loose leaf for notes and observations for the week. I also use the back of the weekly planner for songs and chants that I make up and want to remember. And, finally, at the back of the planner, I’ve laminated the blank weekly template and use that to move around the sticky-notes on a weekly basis. The beauty of putting together a planner with book rings is that you can add and remove papers as you wish, but it’s much more portable than a 3-ring binder. Using book rings makes this planner easily portable. You can fold the booklet over and write in it comfortably. It’s less bulky than a binder. You have all of the sheets you need in one place, and you can lay it on your kitchen table or on the floor with your child without it hogging up the entire space. And, there you have it! 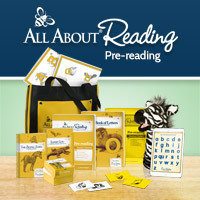 You’re all set for easy homeschool planning so that you can give your child the full attention he needs. 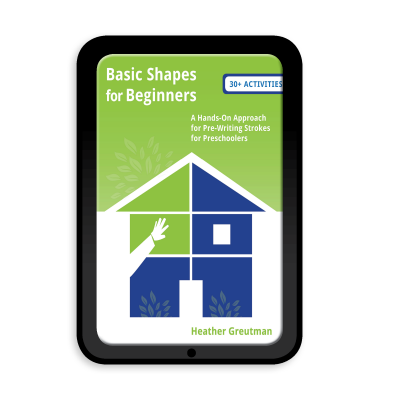 The rest of this series includes tips for finding community resources, assessments/ evaluations and finally, parental reflections. If you’d like some help planning your for homeschooling, I offer individual consultations. I’d love to be of service to you.